It’s a daunting task. Figuring out what gear you need to shoot video on a DSLR isn’t terribly simple. There is soooo much stuff out there for shooting with HDSLRs these days. We have rigs, glide cams, tripods, sliders, cages and much more. For someone getting started, it can be a nightmare trying to figure out what you REALLY need. If you are feeling a little bewildered don’t worry, I have written this list with you in mind. So take a deep breath and read on. Great, so you’ve lightened your wallet a little and have a camera in your hands. What now? Here are 10 things every HDSLR beginner should buy first. If you were like me when I started shooting with HDSLRs, your background is prosumer/consumer camcorders. So you might be new to the concept of shutter angles, aperture settings, and the daunting world of interchangeable lenses. 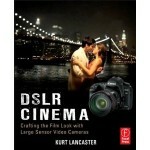 I wish this book had been available when I bought my Canon 7D and started shooting on DSLRs. The DSLR Cinema book covers not only technical info, but a ton of fantastic cinematography tricks and tools that is bound to improve your shots. Check out my review here. S you have a beautiful new camera, now you need some media to store your footage on. Two things you want to look for in a card, speed and size. In general you are going to need a class 10 SD card or 400x CF card. I like the 16gb card size, not too big not too small. 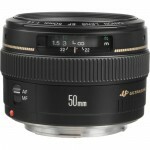 If you are buying your first DSLR and don’t have any lenses I recommend buying a fast 50mm prime lens for several reasons. First off, you can get one for cheap. $100 gets you a pretty fast, sharp lens. If you have a little more to spend, look for a f/1.4 version. 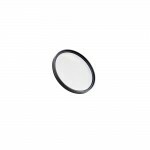 Secondly, prime lenses are sharper and give you more creativity with shallow depth of field. Finally, a prime lens (primes are lens that does not zoom) forces you to move and frame your image more carefully. Zoom lenses are great, but they can promote lazy lame shots. A 50mm prime is going to teach you A LOT about lens compression, framing and much more. When I started out all I could afford was the 7D and a 50mm lens. Looking back I am glad I couldn’t afford more gear… Camera and the lens was all I needed to get started. Probably the most important support gear in any kit is the tripod. I’ve heard over and over again “Get a good tripod, don’t bother with a cheaper one” and while I agree a good tripod is important, most can’t afford it when getting started. 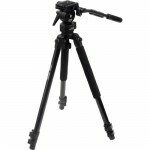 For the budget under $100, I recommend the Pearstone VT-2100 Video Tripod. If you have a larger budget check out the Davis & Sanford Provista Grounder. I swear by mine. Fader ND’s are very important for shooting outdoors if you want shallow depth of field while keeping your shutter speed low. These can be found fairly cheap like the Neewer version. Or for higher a quality filter, the LightCraft Workshop Faders are great. Don’t let loss of power cramp your style. Get at least one or more batteries for your camera. 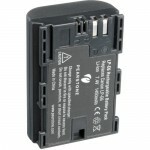 There are 3rd party batteries that are much cheaper than name brand. I like the Pearstone brand ones. The microphone built into the camera body is pretty horrible for anything more than basic basic sound. A Rode mic can give you phenomenal quality for a low price. If you need to go handheld, a DSLR with only a lens on it is difficult to use. Polaroid makes a very affordable little rig that packs down very well. Check it out here. Now that you have all this gear you need a place to put it all. 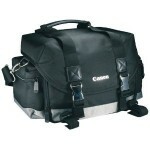 My first bag was a medium sized Canon bag. I could fit everything in it. Still have and love it. I also love me some sling bags. LowPro has a beautiful one here. Now you are ready to rock and roll with your new kit. What were some of your first equipment purchases? What would you add to the list? If you liked this post please consider purchasing gear from my B&H or Amazon links. Thanks for supporting DSLR Video Shooter! I like it, however, I would add a viewfinder of some sort especially if you’re shooting outside and to help with focusing. if you have an H1 and also get a video mic, would you recommend taking the mic into the H1 to avoid the AGC in-camera, or go into the camera and run the H1 as a backup? A Follow Focus is a must have to get smooth focus pulls. Jag35 has a nice, cheap option that doesn’t require a rig to use! This way, you can record on the zoom and onto the raw footage being shot. Also, you’ll be able to monitor the audio w/ headphones while shooting. You’ll have backup audio if something went wrong in the camera. Really could cut this in half; Book (not needed with all the online resurces), Rode on-cam mic (overrated unless your one of the 0.01% that actually does run and gun docs). Rig (waste of money for the beginner). Trade all that junk in for a proper editing suite (often overlooked when getting started). Pick up a ND Fader, a fast card, a fluid head tripod, and a prime… all you really need. Hey Caleb, thanks very much for creating this list ! I´ve been lokking for an affordable rig for ages :D Just bought the Polaroid one. Thanks ! What about a flycam nano? Sweet! Let me know how you like it! Hey Caleb! 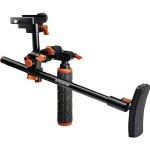 Im beginning to seriously get into DSLR filmmaking and was wondering, do you recommend the Polaroid Chest stabilizer support over the $25 cowboy studio shoulder support? which one is better and gives the most stable shot the easiest without add ons? Thanks! I think the Polaroid is the winner. You will have everything you need out of box. Great list. Nice find with that camera rig, but I think everyone is overlooking a huge freebie (only for Canon users). The Magic Lantern firmware costs 0$ and it adds a ton of tweaks and tools that make a DSLR an HDSLR. Yep, but this focused on budget-minded beginners. However, once you start looking at the Tascam DR-100 MKII, the H4N is definitely in the running. great list to work with :) does the pearstone battries work well? does the Fader ND Filter works with canon mark lll as well or just with mark ll? Yes it works with both. I just preordered the canon 70d. I also ordered the Rode STEREO VIDEOMIC PRO. Would the shotgun mike be better for interviews? I’ve found the shotgun is a lot more effective yes. 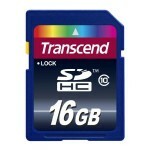 Are multiple 16gb cards better than 1 or 2 32gb or 64gb memory cards? Why? Short answer: Yes. Longer answer: Would you mind if I mentioned your question in a video? Not at all. I’m looking forward to it. Hi, Thanks very much for your helpful list and follow up comments. Im setting up my DSLR gear for the first time to do video. I currently have a 550d, zoom h4n, and a rode videomic pro. I have several questions I really hope you can help me with please. 1) Am I better off plugging the mic directly into the camera tho I dont think I can monitor it OR getting the Sescom cable be able to link it to my zoom and monitor all audio through there? 2) Im not sure where to actually physically put my zoom! I was planning to keep it clipped to me but can see that the cables (especially if I run the mic into the zoom) mean it all needs to be close. Would an L-plate be the solution to that or something else? What would you reccomend? 3) If I want a ring to help steady my handheld shooting, how would the zoom/l-plate set up fit into that and which would be best to accomodate the zoom? Im new to this so hope Im making sense! Thank you! PS. I also have a viewfinder – it seems the rigs you mention on this page all work fine with viewfinders right? Thank you! 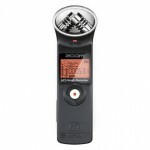 1) I would suggest plugging the H4n into your camera and use the mic WHILE recording on the H4n. That way if something funky happens with your levels on the camera you have the audio from the H4n card. Use manual audio settings on the DSLR. And I have it off to the side of my camera. Hey Caleb, Thank for your speed and helpful response. I’ll set my gear up like you suggest. I think I’ve worked my 3rd vague question out now so all is good. Many thanks! Which is a better value; A Tascam DR-60D with a Rode Shotgun mic, or a Zoom H6 with the zoom shotgun mic? Oooh thats a tough one… I’d have to say DR-60D + Rode… Just because you could put the mic anywhere while the recorder stays by the camera. But I LOVE the H6 and can’t wait for it to come out. What are your thoughts on using smart phones and tablets for a second monitor and controller? i.e. DSLR Controller for android. Its a cool idea, but I much prefer having a dedicated monitor for use with my DSLRs. Nice list! It really helps me what to buy first with the limited budget. I might buy a tripod and audio system right now. Which one is better to buy? an audio recorder or a shotgun mic? I have canon t4i, and I can borrow the tascam recorder from school. But if I have to buy a gear for the audio, which one is better? I would probably get the shotgun mic. You could run it to your camera with an extension cable and/or borrow a recorder in the meantime. Hey Caleb. I am just getting into videography filming weddings etc, is it better to get a shotgun mic or a road mic? The shotgun mic mentioned above is a Rode mic is that is what you mean. 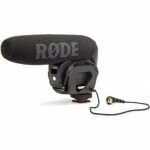 The Rode VideoMic Pro is one of the best mics to get started with.